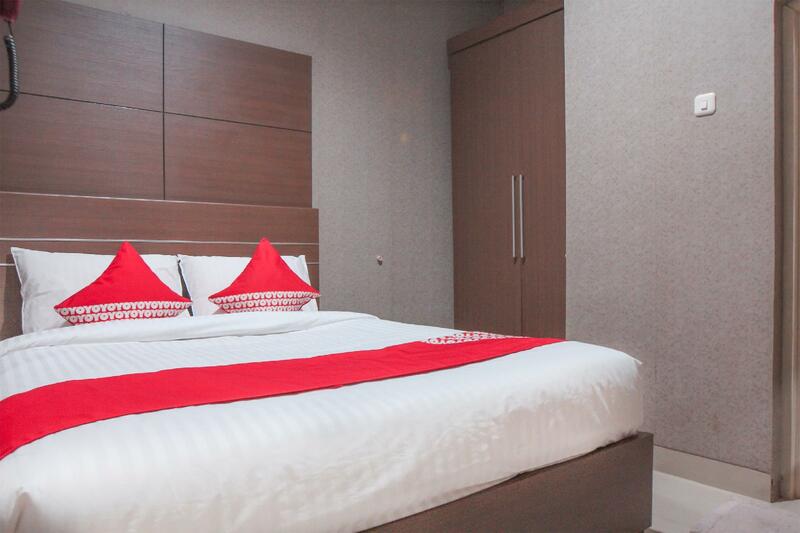 If what you're looking for is a conveniently located property in Jakarta, look no further than OYO 383 Env Residence. The property lies from the city center and provides accessibility to important town facilities. With its convenient location, the property offers easy access to the city's must-see destinations. The facilities and services provided by OYO 383 Env Residence ensure a pleasant stay for guests. The property offers access to a vast array of services, including free Wi-Fi in all rooms, daily housekeeping, 24-hour front desk, express check-in/check-out, Wi-Fi in public areas. 100 rooms spread over floors provide a warm and pleasant home away from home. Comforts such as flat screen television, linens, internet access – wireless (complimentary), Non-smoking, air conditioning can be found in selected rooms. The property's host of recreational offerings ensures you have plenty to do during your stay. Superb facilities and an excellent location make OYO 383 Env Residence the perfect base from which to enjoy your stay in Jakarta.